Just because I have a new book out, doesn't mean I've forgotten my first. Neither has my publisher, Imajin Books. That's why Imajin has signed Under A Texas Star up for a promotion on Amazon.com. From April 21-April 23, Under A Texas Star is free on Kindle. This is a great opportunity to try a western-romance flavored mystery or a new (soon to be favorite) author. Disguised as a boy, Marly joins a handsome Texas Ranger in the hunt for a con man and they must bring the fugitive to justice before giving up the masquerade and giving in to their passion. Inspired in equal parts by Louis L'Amour and Georgette Heyer, Under A Texas Star is a western mystery/romance, with a touch of humor and loads of adventure. "Bruce is a terrific story-teller...a complete joy to read. She immerses readers into a smoking Western that is also a spunky romance and reminiscent of the Texas Rangers television series. A delightful Western tale that blends engaging adventure with spirited romance. Reminds me of Louis L'Amour novels." "Filled with realistic dialog and a good attention to period detail, Bruce manages to create a believable story that captures our imagination. 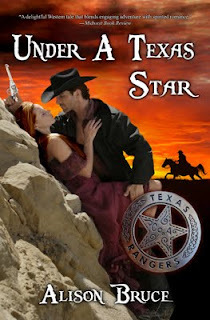 Well written with a compelling plot, Under a Texas Star brings a delightfully new and strong heroine to the literary world. Highly recommended." 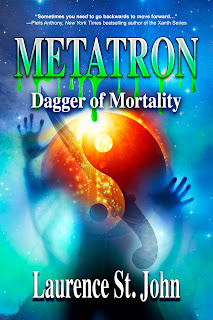 "This is a rollicking adventure and Marly Landers is a girl with True Grit."